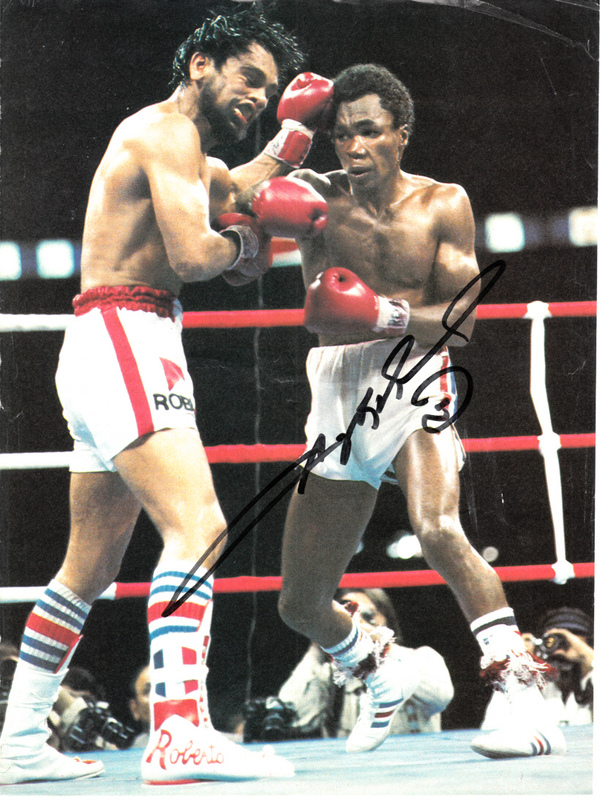 Full page magazine photo from the Brawl in Montreal autographed in black marker by legendary boxer Sugar Ray Leonard, who lost an epic battle to Roberto Duran in a close decision. Obtained in person, with certificate of authenticity from AutographsForSale.com. PHOTO HAS NUMEROUS MINOR TO MODERATE WRINKLES, STILL SUITABLE FOR FRAMING. ONLY ONE AVAILABLE FOR SALE.